This year Stas from Ft.Wayne started making his own products: bags, top tube pads, et cetera. I had the opportunity to acquire one of the first models and now that I've used it for a while I'd like to offer my opinion. I really like that's expandable to the size you need. The handle is handy and I hear he's even updated the new models to include pockets/slides for pumps and the like. It'd be great if the inside have a waterproof vinyl covering, but he's selling these things for a song so maybe that could be a feature on a future "deluxe" model. Seriously, for $20 this is the best tool bag I've ever had. It has all the features i want at a price i can afford. 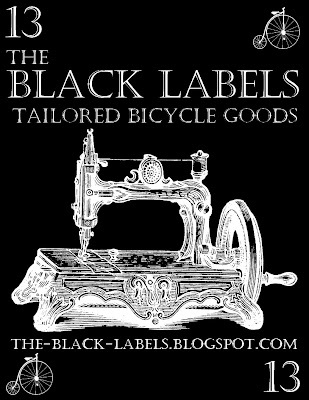 Take a moment and check out his work at http://the-black-labels.blogspot.com/. Good stuff. Wait, what was that link again? http://the-black-labels.blogspot.com/. we still on for espi 6?!?! ?